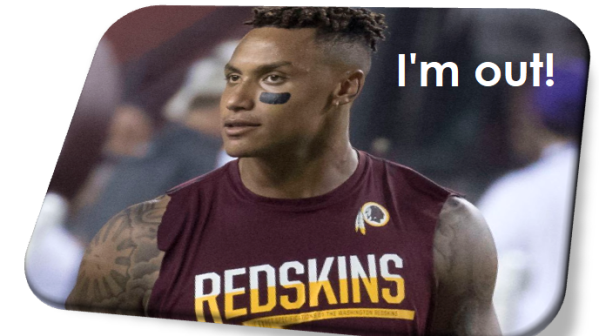 The Washington Redskins’ received unexpected news over Labor Day weekend when second year safety Su’a Cravens announced his desire to retire. The news sent shockwaves through the Redskins organizations, with many left wondering how to fill the void. His decision came at the conclusion of the preseason, with the 22-year old projected to be the team’s starting safety. Washington felt so stunned, team president Bruce Allen convinced him to postpone a formal retirement, and instead, offered Cravens a month in which to resolve personal issues that may have played a role in his decision. He will start the season on the exempt list. Cravens was selected with the 53rd pick in the 2016 NFL draft before signing a four-year, $4.43 million contract in May 2016. The footballer has remained mum on the reasoning behind his decision, instead telling his Snapchat followers he didn’t owe anybody an explanation. 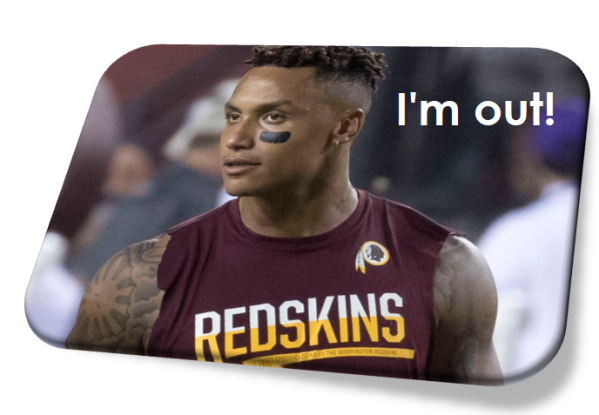 While many Washington fans have reacted angrily to Cravens’ decision, some even calling him “selfish,” coach Jon Gruden offered a more compassionate response. 15th-seeded Madison Keys enjoyed a comeback win over No. 4 seed Elina Svitolina on Monday night to give the United States four women in the US Open quarterfinals for the first time in 15 years. The 22-year-old Keys jointed No. 9 Venus Williams, No. 20 CoCo Vandeweghe, and unseeded Sloane Stephens in the last eight at Flushing Meadows. As none of them face each other until the next round, it’s possible that the semi-finals could be all-American. Williams, the only remaining competitor who has won a US Open, was there in 2002 when the U.S. women enjoyed a similar dominance at the tournament. That year, her sister Serena beat her in the last all-American final for her 4th career Grand Slam title (and second U.S. Open victory). Even with Serena currently enjoying motherhood with her newborn baby, Venus still has plenty of competition. She will face No. 13 seeded Petra Kvitova on Tuesday night.